Get up close and personal with wildlife at the Phoenix Zoo, Wildlife World Zoo and Aquarium, Out of Africa Wildlife Park and Bearizona. From serene urban oases such as the Japanese Friendship Garden to the miles of desert trails at South Mountain Park, Greater Phoenix is home to a diverse mix of lush gardens and desert preserves. 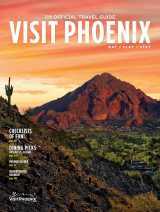 Get the details on more of Phoenix's gardens, parks and zoos in the business listings below.